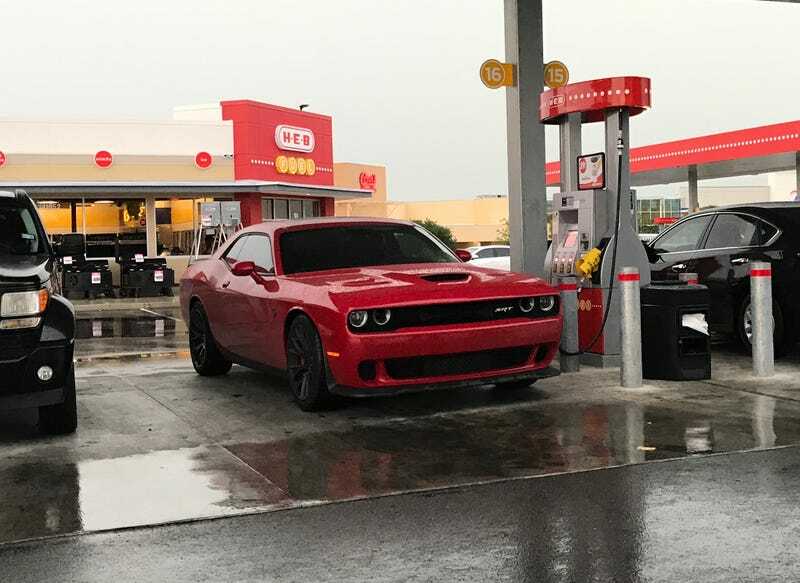 Saw this new Hellcat with paper tags at a gas station. Nothing weird, that’s its natural habitat... wait the pump is out of service? That’s because it belongs one of the convenience store employees. I had no idea you could make enough to afford a $70k car working at a gas station. Hooray for 96 month loans I guess? On a related note, my daughter has recently developed an obsession with Challengers and points out every one on the road. Which is a lot, because here they are inexplicably just as popular as Mustangs and Camaros.